Does the thought of more racing after the Rolex 24 have you salivating? 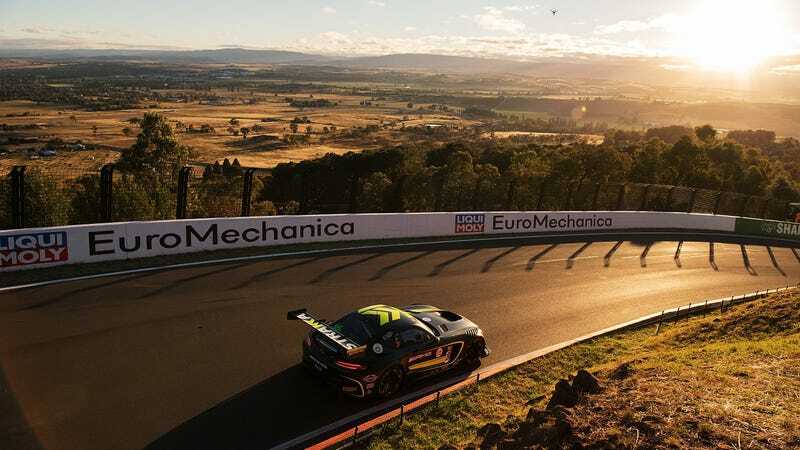 Great news, folks—Australia’s Mount Panorama Circuit is hosting the incredible Bathurst 12 Hour this weekend. And yes, you’re going to be able to watch every second of it here in America. 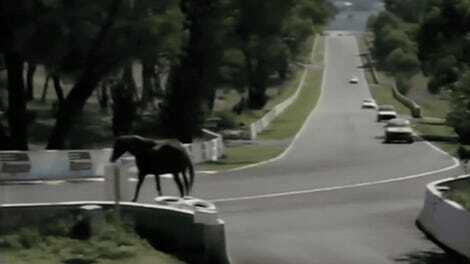 Mount Panorama, a 3.9-mile circuit, is partially an actual track and partially actual roads that are converted into a race circuit for a handful of races a year. The Bathurst 12 Hour is contested by GT3, GT4, and “invited production-based or specialized endurance vehicles”. It’s sports car racing, folks. There are four different classes to keep in mind while you’re watching. Class A is a GT3 class divided into three subcategories (Pro, Pro/AM, AM) depending on the professional ranking of the drivers. It includes the kind of cars that also contest the Spa and Nürburgring 24 Hour races. This is the biggest, beefiest class at Bathurst. Class B is composed of Porsche’s GT3 Cup Cars. Class C is made of GT4 cars, which has been a growing class in Australia in recent years. They’re a step under GT3. And, finally, Class I is the invitational class, which are cars determined by the race organizers. You need to check it out. 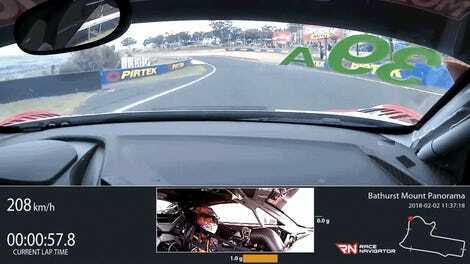 Racing at Bathurst is delicious, and you’re not going to want to miss it. The 12 Hour starts at 5:45 a.m. local time Sunday in Bathurst. For those of us in America, the race starts at 1:45 p.m. U.S. Eastern Standard Time on Saturday—a pretty reasonable time! That means that the race starts in the dark, races through sunrise, and ends as the sun starts to lower. It’s incredible. Australia knows how to do it. This race is worth it just to watch the first two hours, as drivers forge through the dawn. If you’re one of the folks in America who, like me, makes a yearly pledge to watch more Australian racing only to be foiled by paywalls and unfortunate midnight hours, then this is your chance to get your fix from down under. That’s right. You can check out this racing for free. The official stream (and live timing and scoring) will be available on the Bathurst 12 Hour website. If you’re an auditory person, you can listen to the full race radio broadcast on radiolemans.co. If those two don’t work for you, NISMO TV on YouTube will stream the race. And if all else fails, Reddit will have the answers you need.